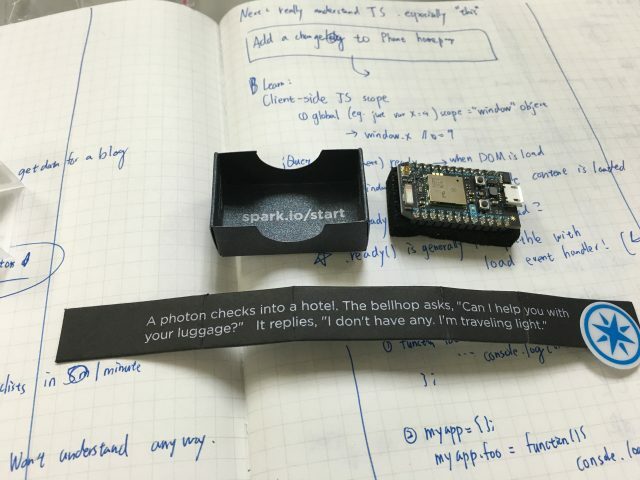 Particle Photon is a miniature WiFi Internet of Things microcontroller. 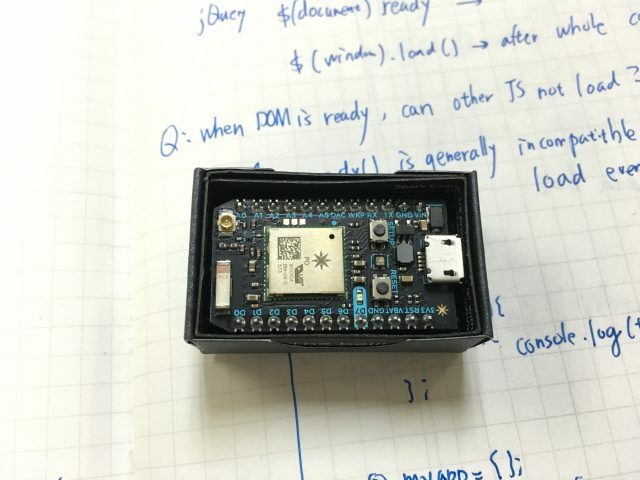 It is specifically designed to have a small size (~ 5cm X 2cm X 1.5cm), built in WiFi chip, and consumes lower power than popular Arduino controllers. Her is my first impression on the device. Photon’s package and exterior look are great. Very modern style (black-blue) with added sense of scientific humor. 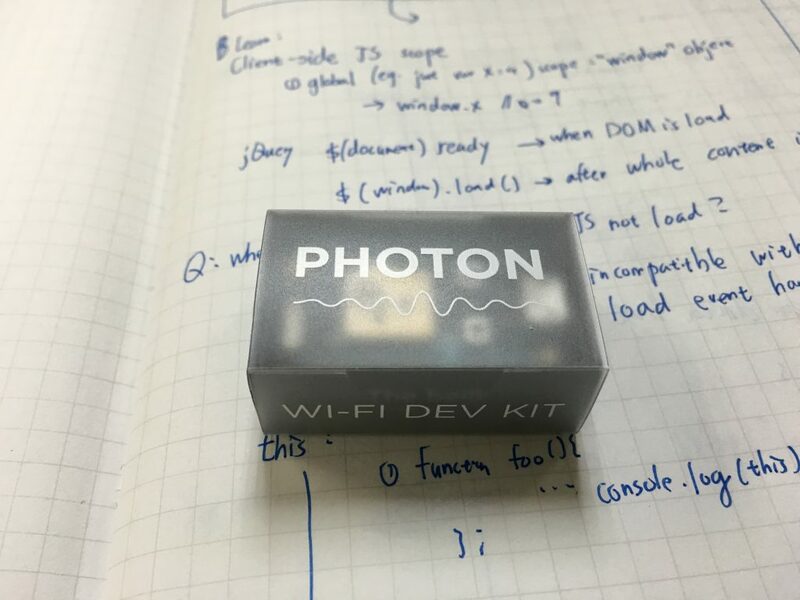 Neat package and inbox Photon joke. Backside bright blue light interference pattern. Photon has a great advantage of code-less WiFi connection via app. For Arduino + WiFi Shield I have to write codes and reflash the device everytime I change a WiFi. Not so for Photon. By using the app connecting to WiFi becomes extremely easy. Just kidding here. I love pokemon everyday…. 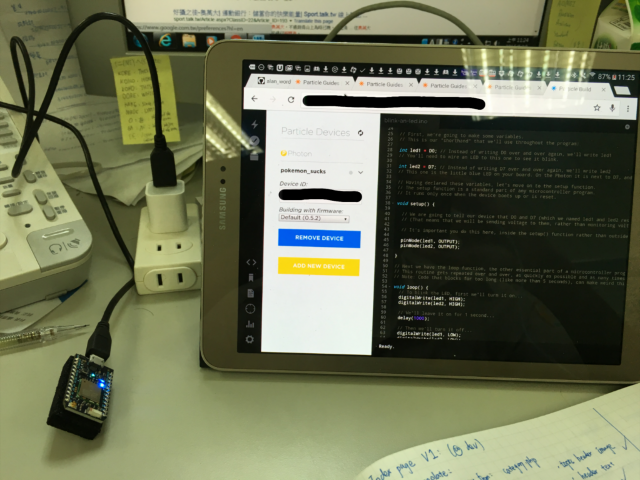 Photon provides a web IDE (integrated development environment) for developers to code and upload firmware on any device. So far the IDE works great on my Android browser. 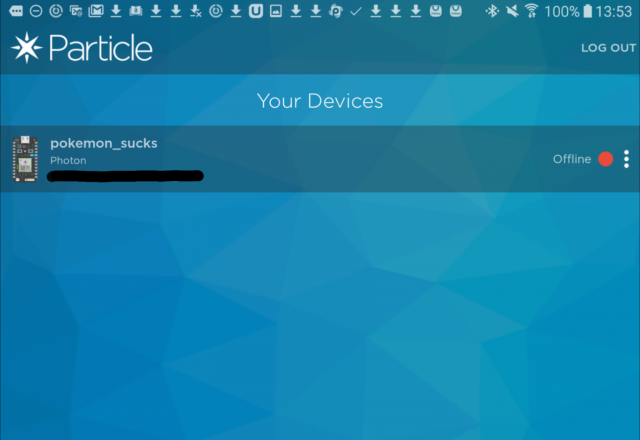 I really like the remote compilation feature to send firmware into the device via WiFi: this means I don’t need to unplug my tablet power. Photon Web IDE. 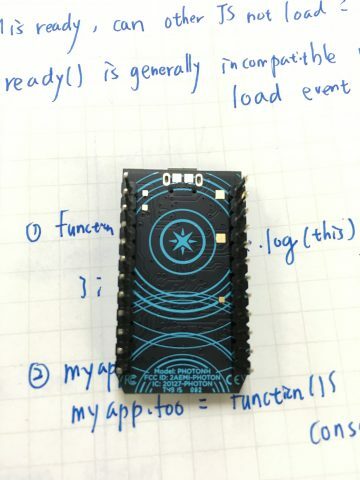 Code is similar to Arduino. The file organization is a bit clumsy though. It’s unclear to me so far how to write firmware along with custom libraries. Otherwise the built-in libraries are similar to Arduino’s and are very easy to use. Overall I feel Photon is a great device. It is small, it works, and the development environment is superb. Highly recommend for anyone who want to build IoT projects.